Le Club Accorhotels has new offer for up to 1,500 bonus points for stays in Poland, Latvia & Lithuania. The offer is valid for stays consumes between June 2 – August 31, 2015, that are booked June 1 – July 31 and requires registration. You earn 300 bonus points for the first stay, 500 bonus points for the second stay and 700 bonus points for the third ibis, Mercure or Novotel stay. Some bonus points for those that have Accor stays coming that they haven’t yet booked at any of the participating countries by the end of August. 1. 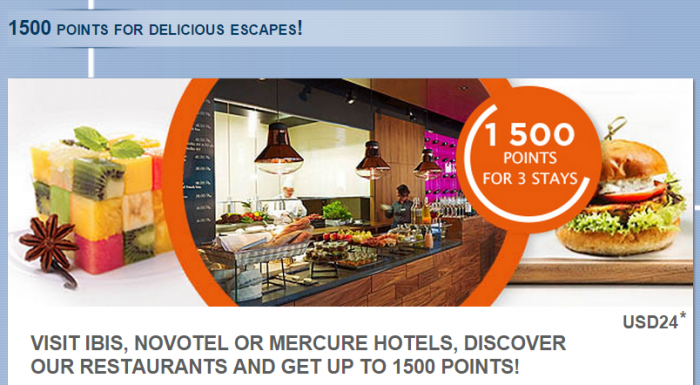 General Le Club Accorhotels terms and conditions apply to the “1500 points for delicious escapes!” offer. 3. This offer is valid for a stay between 02/06/2015 and 31/08/2015 in one of the participating hotels in Poland, Lithuania and Latvia booked between 01/06/2015 and 31/07/2015. 4. This offer entitles Le Club Accorhotels Loyalty members, regardless of their status, to benefit from earning bonus points in one of the participating hotels Poland, Lithuania and Latvia to the following scheme: 1st stay: 300 points / 2nd stay: 500 points/ 3rd stay: 700 points. 5. 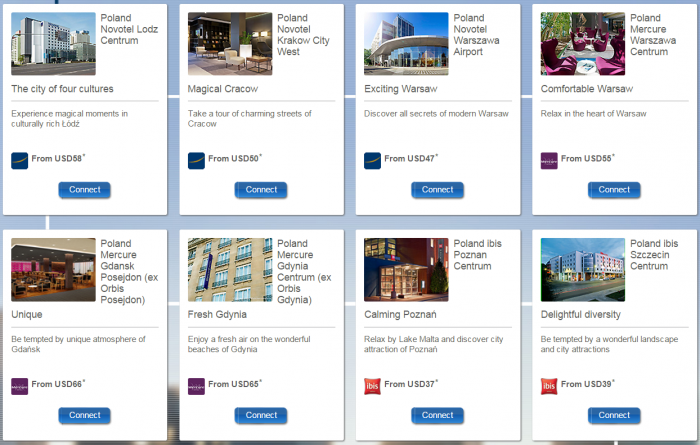 Offer’s bonus points are available in all hotels in Poland, Lithuania and Latvia. However the restaurants: ibis Kitchen, Novo2 and Winestone are available in all hotels except: ibis Kaunas Centre, Mercure Kasprowy Zakopane, Mercure Mrągowo Resort&Spa, Mercure Karpacz Resort, Mercure Zamość Stare Miasto, Mercure Cieszyn, Mercure Piotrków Trybunalski Vestil, Mercure Krynica Zdrój Resort & Spa, Mercure Warszawa Airport, Mercure Bydgoszcz Sepia, Mercure Wisła Patria, Mercure Racławice Dosłońce Conference & Spa. 6. The number of bonus points for this offer is calculated according to the points earned by the member based on “Classic” status. 7. Bonus Le Club Accorhotels points will be credited only to the members that signed up for it. 12. Each member can only benefit once from the bonus. 13. This offer can be combined with other current promotional offers or advantages but does not apply to groups.